It is the time of the year when the aroma of freshly baked gingerbread cookies fills the air. Absolutely love the cinnamon scent. Besides using herbs and spices for cooking and baking to enhance the flavour, have you considered using them in other ways? 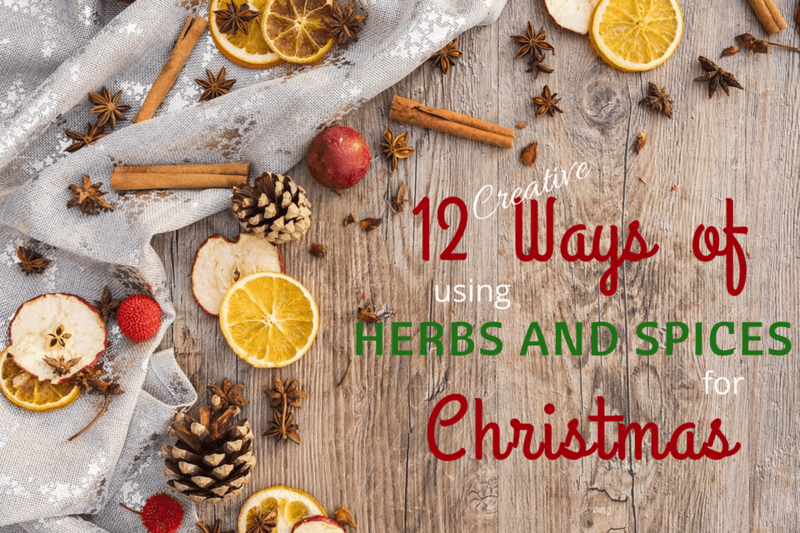 Let’s look into 12 creative ways on how herbs and spices can be used during this festive season. Towards the end of this article, you will also have plenty of Christmas gift ideas. In fact, you will want to have all these ideas created for your home too. Your guests will walk onto the doorstep and be greeted with a beautiful fresh herb wreath. Besides, it can be a decoration piece in the living area. The kitchen is another perfect area as herbs will be within reach should you need them for cooking. Gather the whole family to create a masterpiece for your front door. It is a great moment for family bonding. Here is a simple guide to making a Christmas Herb Wreath. Fruits – cranberries or cherries. Cover the entire wreath frame with your preferred herb as the base. Gather a few stalks of different herbs and tie them up with rubber bands to make small bunches of herbs. Secure each bunch of herbs onto the wreath using floral wire. Continue adding on till the whole wreath is covered with herbs. (Optional) Symmetrically or randomly secure the spices or fruits on the herb wreath using floral wire. Be creative, be exciting – there are many ways and ideas to make your own herb wreath. Too busy to make one. Do not let this be a reason for not getting an Herb Christmas Wreath for your home. This is a great Christmas gift too. Don’t stop at the door – continue to welcome your guest into your home filled with warm aromatic scent. Most of the ingredients needed are already in your kitchen. 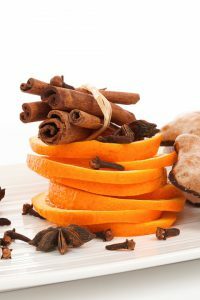 The simplest potpourri can be made with only 3 ingredients. Or, gather more ingredients for an intricate potpourri. If you have a real Christmas tree at home, add 1 handful of pine needles. Add all the ingredients into a pot with water and heat over medium-high heat. When the water comes to boil, turn on low heat and let it simmer. Add more water or ingredients and keep simmering as long as you wish to keep the welcoming atmosphere going. Instead of the stove top, a crockpot can be used for simmering. Before your guests leave, it is a great idea to give them a gift bag – Christmas Simmering Potpourri Bag. Gather all ingredients and fill them in a transparent bag. Attach with a gift tag – Christmas in the Air! The scent of Christmas continues with a beautiful tablescape of the orange pomander. This is a family project that will give you a magical moment to cherish. Use toothpicks to poke a row of holes in the orange. Rubber bands wrapped around the orange can be a guideline for your design. Else, do it free hand. Push the cloves into the pre-made holes. Arrange the orange and clove pomander balls in a big bowl. Add some pine cones, pine needles or other Christmas decorative items. There you have it – an extraordinary Christmas Pomander centrepiece. The pomanders can hold for 3-4 days. After which, they begin to turn mouldy. To lengthen their display life by a few days, put them into the fridge at night. The Yummy Life created some amazing natural room scent jars which are perfect as a centrepiece on your dining or entryway table. These scented jars will fill the air with a pleasing aroma. Spread the joy by giving a jar or two to your guest when they leave. Pretty sure they will love it. Click here to read step-by-step instructions by The Yummy Life. Cinnamon spice is one of Christmas season’s signature scent. If you love cinnamon, you must make this cinnamon stick candle. This is a simple DIY project to make with your family during the festive holidays. Place the cinnamon candles onto a tray and accessorize with pine cones or leaves and holly berries. Star anise, clove and cinnamon are always a perfect match. Makes a great table centrepiece. Light up the candles and enjoy a warm dinner with family and friends. So far, much has been said about festive scent and centrepieces. Not forgetting the Christmas tree, let’s make some cinnamon ornaments to decorate the tree. Mix applesauce, cinnamon and cloves in a bowl until a smooth dough is formed. Roll out the dough to ¼ inch thick in between 2 sheets of plastic wrap. Cut dough into preferred shapes using cookie cutters. Make a hole at top of the ornament using the straw. Place ornaments on a baking sheet and bake for 2 – 2 ½ hours until they are dry and hard. Once completely cool, loop the ribbon or string through the ornament and hang on your tree. 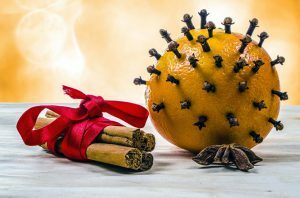 Now you have plenty of amazing cinnamon ornaments and their aroma will last long after the holidays are over. Baubles are synonymous with Christmas and the tradition of using them as decorations go back hundreds of years. Let’s do something different with these baubles using herbs and spices. 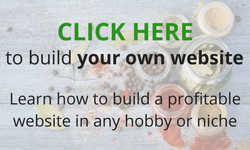 Read more about creating your own spice rub and Cajun seasoning. Fill the ornaments with the spice rub or Cajun seasoning. Tie the ribbon through the ornament’s eye. Hang onto your Christmas tree! These herbs and spices filled ornaments make a great Christmas gift too. When your guests leave, “pluck” the baubles off the tree and place them into a lovely box or basket. Complete with a gift tag. Your guests will love them. A simple mixture of herbs and butter adds incredible flavour to any roast – turkey, lamb or rib. Besides, herb butter can be served with grilled vegetables, baked or mashed potatoes and corn on the cob. Additionally, it goes well with dinner rolls and makes a nice plating too. In a bowl, cut the softened butter into pieces. Add a pinch of salt and all the herbs. Fold and mix them together with a spatula till the mixture are evenly distributed. Scoop the butter mixture out onto a plastic wrap. Shape it into a log and wrap it tightly, sealing the ends. Put it in the refrigerator. Refrigerate for at least 2 hours before use to allow the flavours to blend in. Herb butter will keep in the refrigerator for up to 2 months. 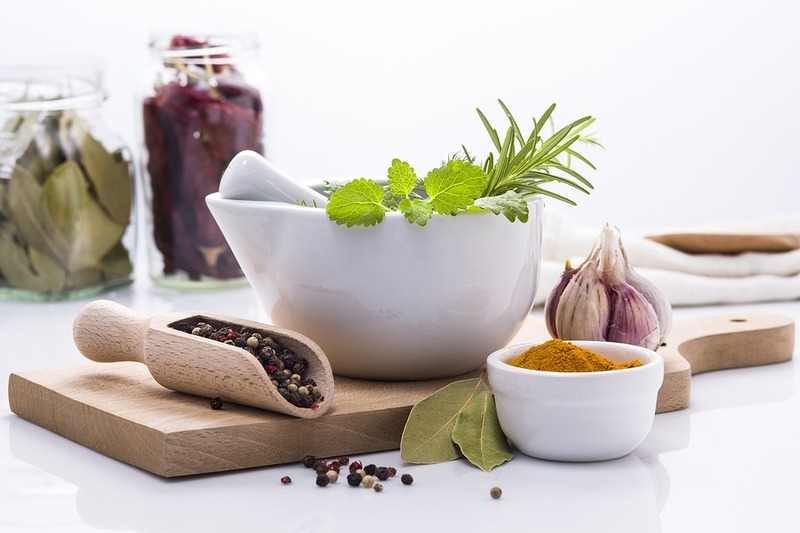 Other herbs that you may consider using include parsley, cilantro, chives and tarragon. Make yours in advance so you will have one item less to do comes the big day. Herbs infused oil used in cooking makes a dainty boost to many dishes. 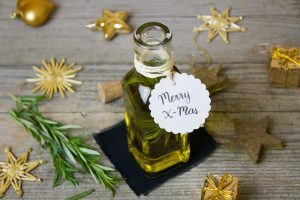 With all the cooking and feasting this year-end holiday seasons, prepare several jars of herbs infused oil and use them when hosting dinners or luncheons. These flavoured oils are a delicious and healthy addition to salad dressings and marinades. Besides, simply drizzle over vegetables or pasta. 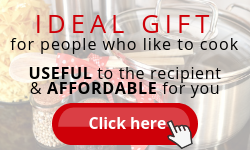 Choose some elegant jars to make yours if you intend to give them out as gifts. If you love herbs and spices, this will be an interesting project. Go on and try this – How to Make Herb Infused Oil. Pretty jars of flavoured sugar make a sweet lovely gift which your guests will adore. This a one of the easiest gift to make. Wash and use a paper towel to dry 4-5 sprigs of fresh herbs. Crush the herbs lightly and place them into a clean dry jar. Add 2 cups of sugar and seal the jar. Stir the sugar for the first few days to break up the clumps which will form as the herbs dry out. Allow 2 weeks for the flavours to be fully infused. When flavouring with spices, use a 4:1 ratio of sugar to spice. Label the jar and attach a gift tag. Isn’t this simple to make? Remember to save some for yourself too. My personal favourite being cinnamon sugar to stir into my coffee and sprinkle onto my toast. Mint sugar and clove sugar are best used to stir into tea. With so much going on during the year-end holidays – cleaning, decorating, shopping and other preparations to be made, you must not forget to take some time off to pamper yourself. This gingerbread sugar scrub is not difficult to make. A little bit of this scrub will leave you rejuvenated – warm, comforting, spicy and sweet! Make a few extra jars and spread the sugar joy. The ingredients list is a bit long but all it takes to do is to combine all ingredients in a bowl and mix well. Scoop the scrub into your preferred jars and close the lids tightly. Store at room temperature. This sugar scrub stays fresh for up to 4 weeks. If you intend to give out as a gift, decorate with ribbon and accessories, and attach with a gift tag. Finally, we have come to #12. Overeating tends to be normal during the Christmas celebration. You do not want to have a bloated stomach to stop you from enjoying the holidays. Here are 6 types of herbs and spices for a bloated stomach. Click here to find out a few quick solutions to get rid of gas and bloating using the mentioned herbs and spices. These 12 creative ways of using herbs and spices for Christmas are truly wonderful. 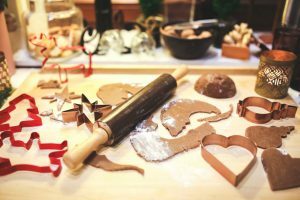 Not only do they enhance the flavour of the food, but the whole house is also in a festive ambience – from the front door right up to the kitchen. Furthermore, the crafty projects bring the family together. 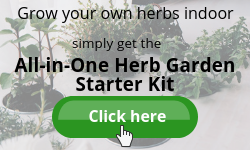 If you grow herbs indoor year round, they will be perfect to make your flavoured sugar, herb butter or herb infused oil. It is time to bring out those spices hidden in the kitchen cabinet. Now is the best time to use them all. I hope you love these 12 ideas as much as I love sharing them with you. On the other hand, if you have any creative way to use herbs and spices for Christmas, please share it with us in the comments section below. Now, are you inspired to do these projects to decorate your home or make them as gifts for your holiday guests? I wish you will. Celebrate the most wonderful time of the year by sharing these creative ways of using herbs and spices with your family and friends. 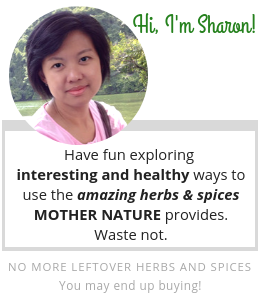 From the Corner of My Home – Spice up your Christmas with Herbs and Spices. So many useful ideas here that I have never seen, such as making cinnamon tree ornaments. That is such a unique idea. And I love your gingerbread scrub — thank you for the recipe. Here in southern Ontario Canada we can grow Spicebush which has its own berry. I dry these, crush them and use them to flavour shortbread cookies. Thanks for dropping by and the sharing! There is no better time than Thanksgiving and Christmas to fill our homes with good smells and cheers. I really liked this article and I’m not even a crafty person. …But I am going to share this page in hopes that one of my friends out there will create a few of these holiday treats and offer one to me. My fingers are crossed lol. It’s December the 1rst now and I have a Christmas tree to put up and decorate so off I go. Happy Holidays! Thank you for visiting Marta. The scented jar can be kept in the fridge for 1-2 weeks. You may also freeze it without adding the water and can be kept for a month. This is why I love Christmas. The aroma that fill my home and with all the decorating ideas, it’s truly amazing. 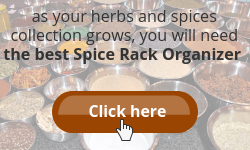 I am glad that my article gave you a new idea to use fresh herbs and spices. oh this is such a great list of Christmas craft ideas. Will be doing some of these with my little girl before Christmas, she is going to love it. And gosh I must do #12…we all know that around this time with all the feasting help for a bloated tummy is a must! Oh yes, your little girl will surely love it. Even if you do not have a bloated stomach, it is still good to have a cup of tea anytime. My favourite being clove tea. I forgot to copy my comment! It is on your website for your approval. I commented that your blog made me almost smell the aromas of the holidays! I said that I especially liked #12, commenting on relief of holiday bloat. Your blog has inspired me to add holiday aroma to my home, remembering when I used to do that! How long do the baubles last? I am glad that my article has inspired you to fill your home with more holiday aroma. Please do. The spice rub or Cajun seasoning for the fillable ornaments baubles can last for several weeks. After Christmas, when you take down the baubles, keep them in a dark cool place and it can be kept for another month. Should you be giving them out as gifts, let your guest know about this. What a great article. Was just talking about this last night. I have tried in the past to incorporate some of your ideas into creating a festive atmosphere, but they never worked out. Winging it didn’t pay off at all. Now I have directions!! Are there packs with combinations of spices or herbs, or should I buy these individually? Just wondering which is the least expensive to do. Great to see you here at my site again. Thanks for the support. Depending on what types of herbs and spices you have in hand and which items are you going to make, I believe buying them separately will be least expensive. Some combination packs might not have what you need. Should you need more help, please feel free to drop by again. Great article. Many ideas I want to try this season. I already do #12. This is an all year thing for me. Thank you for sharing. You have also given me some great ideas for gifts. Not only will they make great gifts, But it will also make your home smelling great while preparing them. 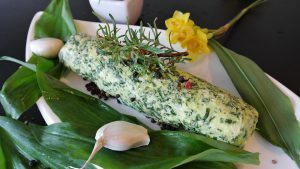 I have tried the herb butter. Made it for a party. Everyone loved it and wanted the recipe. Have a blessed Christmas and Happy Holidays! I absolutely love Thanksgiving and Christmas time spices! 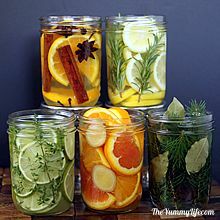 I will be trying some of these ideas out starting with the room scent jars. I remember making one of the orange and clove pomanders in grade school so I might try that out with my nephew. That herb butter looks so yummy, can you use dried herbs? Last time I tried to buy fresh thyme at my local grocery store they didn’t have any. Yes, you may use dried herbs instead of fresh if it is difficult to get the fresh ones. But, after mixing all the ingredients and shaping into logs, leave it for 3 hours before refrigerating. This will give the dried herbs more time to infuse into the butter. Such a great website. I think sometimes we forget about spices to enhance our everyday lives with so many other products out there. 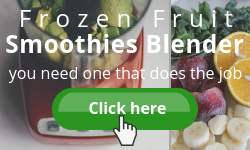 This is great because all the ingredients are easy to find and natural. I will truly enjoy these recipes as I’m sure a lot of other people will too. The pictures were great and the explanation of how to do the wreath and other recipes are easy to follow. Congratulations fun and informative website! I am glad you you found this article informative. Sometimes we need to be reminded of simple things in life. If we cook almost every day, the spices are there in our cabinet. Just that we have forgotten about them. Sad. Aw! So many good ideas here. I love to gift things that people will actually use and am considering making a big batch of herb butter to gift to neighbors and such. If I were to do this, how would you recommend packaging them as gifts? Also, #4, what are the ingredients suspended in? Alcohol, oil? I would love to make these too! Thanks for all the fun holiday ideas! I am glad you like the ideas. The natural room scents (#4) uses water. You may get the directions from The Yummy Life. Wow, Sharon, this is so awesome thank you for the ideas. I couldn’t use the grapevines anymore because I trimmed my out two weeks ago. However, I have an idea for using my moringa twigs and sticks for making a wreath. And using star anise for a touch of stars. Hello Kelyee. Thanks for sharing your idea here. Moringa twigs, yeah, I think it is doable. Isn’t it amazing the many plants we can use from our garden? Wishing you a joyful Christmas and Happy New Year!